Gary Barker is the founder and CEO of Oakland based Ditto Sustainable Brand Solutions; a Benefit-Corp that conceives, designs, manufactures and markets environmentally preferable, sustainably manufactured and beautifully conceived retail display products and packaging solutions for conscientious retailers. Ditto products are engineered for low environmental impact. Both, in their manufacture and their disposal, are made from renewable or recycled materials and designed for safe, productive return to nature or back to industry. Ditto was awarded the Best B-Corp for Environmental Impact, the Acterra Award for Environmental Innovation, the California Stewardship Green Arrow Award for System Design and Innovation, and has been awarded several international industrial design awards for eco-design. Supports transparency in supply chain management of sewn products, and product reuse. Co-Founder of PeopleWearSF and Co-Author; Sustainable Fashion: What’s Next? 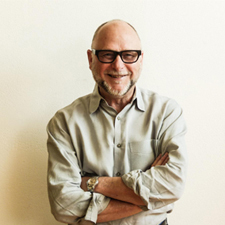 Dr. Ulasewicz engages with students on topics integrating responsible fashion practices within, visual merchandising & promotion, sustainable production development and the social psychology of clothing. She strongly supports the assimilation of community engagement and educational scholarship, and co-development curriculum for a Social Entrepreneurship course offered through the MBA program. Her research interests include, transparency in supply chain management of sewn products manufacturing from fiber to finished product information to the consumer, and product reuse. 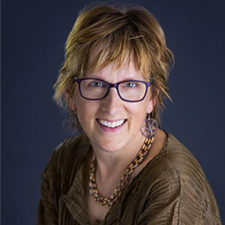 Connie is the coauthor of the recently published 2nd edition Sustainable Fashion: Why Now. 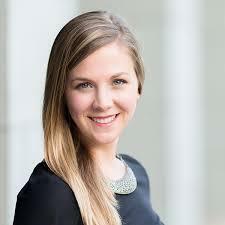 Erin Wold is the COO of SilkRoll, an online fashion exchange and a trained performance coach. She and Janet Wu, Co-Founders, are advocates for advancing sustainable fashion. They’re out to alter the stigma around second hand fashion, slow down fashion production and get the US participating in their fair-value trading system. The innovative and fun, points-based platform continues growing with the support of those conscious about the movement. Sophia Marie is founder and designer of IconaWear; a San Francisco brand that incorporates sustainable practices along with supporting creativity and individualism. She customizes second-hand clothing to make something new and unique. Sophia Marie sources material from the scrap bins of schools/sewing studios. And also, she alters “damaged” pieces given to her by family and friends. The technique involves: form, layer, stud, mesh, rip, re-stitch which all comes to life in a small studio located in San Francisco, California. Sophia Marie was born, raised, and currently lives in San Francisco, California. She has graduated with an Advanced Diploma in Fashion Business from F.B.I. [Fashion Business Institute] in Sydney, Australia where she resided for some years. During that time she interned with various designers and learned there the vast roles in the fashion industry. Here in San Francisco, there are a few of the people Sophia has worked with since immersing herself in the fashion industry for the seventh year: FBI Institute, Myer Department Store – Fashion Shows, Josh Goot, Designer – Fashion Show, Who Magazine, Take 5 Magazine, Hussy Fashion House – Production & Development, threeasfour – New York Fashion Show, Alice & Olivia – New York Fashion Show, Pamela Love – New York Fashion Show, and Raw Artists – showcased in their fashion shows. And recently, IconaWear showed her collections at the San Francisco Sustainable Fashion Week International, Fashion Exchange event. 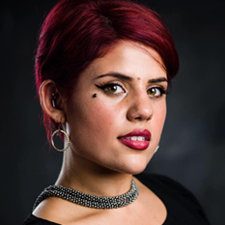 Along with running her fashion company, IconaWear, Sophia is a senior buyer/part owner of World Gate Jewelers, a personal stylist/consultant for an online app, freelance fashion stylist and a student at City College of San Francisco for Fashion Design. Linda Vela, a San Francisco Bay Area entrepreneur and educator, has long been passionate for healthy lifestyle and organic products. She pioneered bringing organic and preservative-free skincare products and makeup to the market with great success. Recently she has transferred her vast experience in skincare products to invent a hair care and management spray. After 4 years of deep scientific research, she has finally settled on a formula for hair nourishment and management that is unique. It keeps the hair shaft healthy and strong and provides style management. It is completely organic, preservative free and does not pollute the environment. Linda is an outstanding inventor and researcher of organic beauty and health products. Hair Bloom is its first revolutionary hair styling product. For a limited time, it is yours for free to try and see for yourself how it keeps your hair styled, fresh and shiny. She launched Hair Bloom this fall at the San Francisco Sustainable Fashion Week International. And so far, the Organic Hairspray has earned a number of positive reviews. 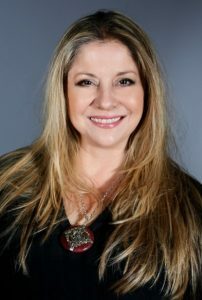 Linda Vela is a graduate of the Institute for Integrative Nutrition where some of her teachers included the world’s top health and wellness, beauty and nutrition experts like Dr. Deepak Chopra, Dr. Andrew Weil, Dr. Christian Northrup, Dr. Josh Axe and David Wolfe. 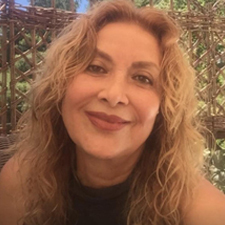 She is the founder and publisher of iGreenWoman Magazine: an eMagazine for the conscious woman of today bringing informative and inspirational articles that make a difference in people’s lives. Ms. Hanns is the Co-Founder of Earth Day San Francisco and creator of Green Voices Bay Area Awards for Peace and Sustainability. Sandra’s passion is to unify communities that are interested in forwarding society for Peace & Sustainability for a thriving green economy. As a Board of Trustees, Sandra’s leadership has brought vision and guidance to several non-profits in San Francisco. Her work is to bring forth the educational component to all of her involvements. Through her experience, Sandra has committed to promote the green community & businesses and those who are making a difference in the life of others while preserving Mother Earth. Sandra is taking on the expansion of SFSFWI by educating through media and reaching out to thousands through the power of digital media; on television and online streaming. In 2018, the NEW SFSFWI will be taking place on television and on the internet with the intention to reach as many people as possible to bring the latest on Sustainable Fashion and Healthy Beauty. Sandra continues inviting, connecting and creating partnerships that will support the transition to a sustainable fashion industry with safe, environmentally friendly business practices and chemical free products for the health of future generations. Sandra urges people to use their purchasing power causing a direct and positive impact with your dollars to preserve our environment, bring justice labor across the world and stand for healthy communities in a thriving green economy. Sandra’s work is possible by the unconditional support of “Master Movers” a trustworthy and conscious Moving & Storage company serving the Bay Area since 1985.